To view 14 more pictures, interactive maps and the full, detailed description of the Patriot's Walke community, please Login. 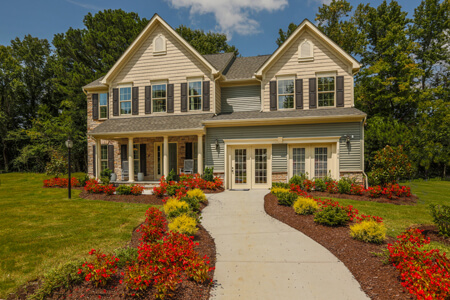 Located on the outskirts of historic Suffolk, this community of over 200 single-family lots is nestled among more than 60 acres of natural open space. This development is conveniently located close to schools, shopping and major highways. Send me more information about the Patriot's Walke new home community. Our agents gladly offer FREE property tours of Patriot's Walke, Suffolk and homebuyer consultations to all serious buyers.